A century of industrialization has left our food system riddled with problems, yet for solutions we look to nutritionists and government agencies, scientists and chefs. Lisa M. Hamilton asks: Why not look to the people who grow our food? 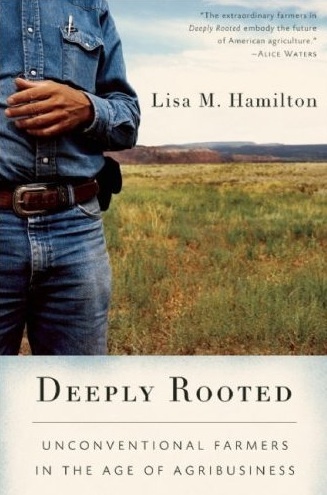 Hamilton makes this vital inquiry through the stories of three unconventional farmers: an African-American dairyman in Texas who plays David to the Goliath of agribusiness corporations; a 10th-generation rancher in New Mexico struggling to restore agriculture as a pillar of his crumbling community; and a modern pioneer family in North Dakota who is breeding new varieties of plants to face the future’s double threat of Monsanto and global warming. Threads of history and discussion weave through the tales, exploring how farmers have been pushed to the margins of agriculture and transformed from leaders to laborers. These unusual characters and their surprising stories make the case that in order to correct what has gone wrong with the food system, we must first bring farmers back to the table.